The Healthy Homeschool Marriage Part 4: Agree To Be United! No one has to tell you that homeschooling is different from the mainstream. While it is still becoming ever more popular year by year, to homeschool still means you and your family are taking the road less traveled. I’ve heard it often said that homeschooling is a lifestyle and every year that my children grow I think I understand that statement more and more. To make a homeschool marriage work I believe both parents need to embrace all the wonderful and the ugly that comes with being a homeschool family and cling to each other tightly to ride the wave. You WILL hit naysayers and these people can wreck havoc on the homeschool mom’s self-confidence. While I don’t believe a family should keep a constant guard up in case of attack, a wary eye can do wonders. I once found myself at a family party where I had somehow managed to get trapped, literally, in the corner blocked in by tables chairs and people. A family member who I truly barely knew, hadn’t seen in forever, and only ever saw very infrequently decided this was the time to question my family’s choices. This lady artfully picked apart everything from my lack of a traditional career, to my family size, to our homeschool and my qualifications to teach my own children, to the number of activities and friends my children have, to my faith. All the time my husband stood just a few feet away. I gave him every high sign, glaring eyeball, stare down I could manage. Inwardly I was screaming HELP ME OVER HERE! Each time he looked over at me he somehow saw two people engaged in a delightful conversation. UGH! I cried in the van the whole way home. That single conversation shook my confidence for a week. Ridiculous I know! Just as ridiculous was how MAD I was at my husband because… you know… he should have read my mind and raced to my rescue. Ok now wouldn’t it be sweet if our husbands could read our minds? After I got over the whole incident and stopped weeping that perhaps I was ruining our children after all we developed a hand signal just for times like these. Oh, and now I’m careful about getting trapped in corners too! Just be aware that people, most of them very well intentioned, will question your choices. Be prepared to stand together and support one another in moments like these. A united front goes a long way toward comforting those who are skeptical and it goes even further in warding off those who want to tell you you are doing it wrong. I can guarantee there will be stormy seasons. Whether it be something big like a job loss or extended sickness or something not so big like a child who is reluctant to learn to read, there will be times when you will question whether homeschooling is still the right choice. Difficult decisions will need to be made. Hard questions will need to be asked. No matter what you do someone will question your choices. Be committed to stand together, united, no matter what. For as I said in day 1 of this series, a house divided cannot stand. Stand Together and Embrace This Strange New Lifestyle! Never again is a trip to the grocery store just a stop to pick up some food. There are too many lessons to be learned about math, health, science, reading… oh the list is endless. While you don’t need to make a production of every trip, both mom and dad need to be ok with MANY trips becoming a production. Never again will a daytrip or a vacation be just a time to relax. There IS a learning field trip opportunity around every corner. Simple walks from the house to the car can lead to an entire science lesson. See that cell phone in your pocket? It’ll soon become a science photo journal as your children stop to photograph bugs and plants and all sorts of fascinating things to identify later. Make time for these adventures. Your house will never ever look the same. Science projects, art projects, history projects, maps, compasses, protractors and the books. We often have something funky growing on the windowsill. This is LIFE! Oh my heavens the BOOKS! I’ve never seen a homeschool family leave the library with fewer than 50 books… that is unless they were just there yesterday and already took 50 and plan to come tomorrow to take even more. Books will now be everywhere all.of.the.time! Embrace it. Your wallet will always be lighter. Money will flow out even faster as you foot the bill for museum memberships, field trips, the gas to get everyone there, for curriculum, science kits, and did I mention the books? You just might want to block Amazon.com from being visible on the family computer. You think I’m kidding? Ok, maybe it’s just my addiction? Uh.. nope! I have lots of homeschool friends. It’s all true. Embrace it all. Agree as a married couple and parents to those precious children to enjoy it all. It really just means they are getting an amazing childhood experience and wondrous education. That’s just priceless and worth every minute. 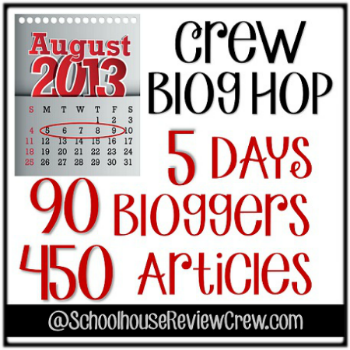 Are you enjoying or massive blog hop? I am sure am! There is just so much good homeschooling wisdom in the world. It feels fantastic to know that I’m not in it alone and that some Momma out there has faced my same challenges. 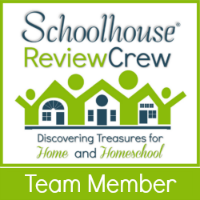 I challenge you sit back and red some posts from some very fine homeschooling moms out there!